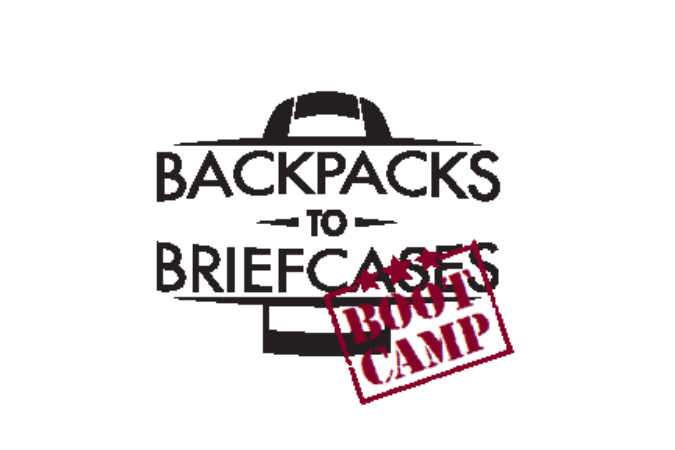 On February 4, Daniels Career Services hosted the Backpacks to Briefcases Boot Camp, a new program open to all undergraduate students at the University of Denver. The career preparation event was part of the Backpacks to Briefcases program, which features seminars and workshops to help students make the most of their student experience and transition successfully from college to the workforce. The Boot Camp drew about 50 students, who attended workshops on developing a résumé and cover letter, how to get a foot into the door of a company, interviewing and more. The program offered industry sessions on careers in marketing, consulting and entrepreneurship. Professionals from Arrow Electronics, Children’s Hospital Colorado and Handshake presented, while the keynote was delivered by Don Richards of Richards Financial Group. “One of our big efforts this year and beyond is to connect our students with alumni and real working professionals in the industry, so this program fits with that objective,” says Toni Gabrielli, assistant director of the Taylor Family Undergraduate Career Center. Other programs offered as part of the Backpacks to Briefcases program include Career Connections and Industry Workshops, the Etiquette Dinner, the Business Olympics and the Dress Code.